Provide comfort for the family of John Hitchcock with a meaningful gesture of sympathy. After a life rich with stories, travel, the love and support of his wife Ann, and many, many years of sports and vigorous outdoor activities, John Cleveland Hitchcock, 93, of Williamstown, died peacefully in his sleep early the morning of March 8, 2019 at the Williamstown Commons. Born in Pittsfield on December 6, 1925 to Wilfred M. Hitchcock, Jr. and Mary (Leslie) Hitchcock, he was youngest of five children. His family relocated to Windsor when he was two years old. At age 10, he moved down the road to live with his widowed grandfather J. Frank Leslie. Active in farm work and the 4-H club, he attended the former Crane Windsor Community School in Windsor, graduating from Dalton High School in 1943. The day after his high school graduation, at age 17, he enlisted in the Army, and was assigned to the Army Reserves Specialized Training Program at the University of Maine until he was 18. 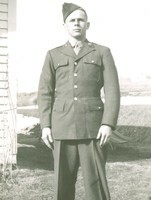 After further training in Army engineer school and advanced infantry, he saw active combat in the final months of WW II in Europe, serving in the 42nd (Rainbow) Division as a Scout for the 232rd Battalion as it moved through Germany. Wounded in one of the last major battles in Germany, he was awarded the Purple Heart, Silver Star for Gallantry, and Combat Infantryman’s Badge. The remainder of his military service was in occupied Austria, where he also expanded his skiing experiences. Upon his discharge from the military in 1946, he entered Williams College. As part of the worldview-altering experiences of his late adolescence and early 20s, he found his beloved life partner in Ann Virginia Milne, of Pittsfield. Married in September 1948, they recently shared their 70th anniversary. Upon John’s graduation with a B.A. degree in English in 1950, they set off for several years of cross-country travel to Idaho, Colorado, Oklahoma, and New Hampshire, then settling back in Berkshire County, primarily in Williamstown, and John in a career in journalism. He was employed as a writer by the Portsmouth [NH] Herald, the Berkshire Eagle, Williams College news office, and, then, for 29 years, by The Springfield Republican, until his retirement in 1990 as chief of its Pittsfield Bureau. Upon his retirement, up through his mid-80s, he continued writing a weekly column, first for Springfield Republican, and then on outdoor life and recreation for The Advocate. Working for a morning paper freed up early day-time hours for John to pursue his love of outdoor activities and sports, notably skiing, tennis, hiking, and golf; as well as to write and take photographs about sports and travel on a free-lance basis for numerous magazines and newspapers, including Sports Illustrated, Ski, Skiing, and Ski America. He co-authored a book with Charles K. Fox, Making It: A Guide to Cross Country Skiing Snowshoeing and Winter Survival. 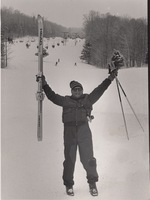 He had diverse roles in the founding and early years of several local ski areas, and taught downhill and cross-country skiing at Dutch Hill, Bousquet, Brodie Mountain, Jiminy Peak, and Petersburg Pass. He operated local cross-country ski centers and organized and administered ski racing training camps in Montana and Switzerland. In addition, he was active in local sports events promotion and consulted on PR for tennis and golf facilities, including Waubeeka Golf Links. He loved to travel – especially if there were ski areas involved – and did so regularly through his activities as a sports writer, and with his wife and daughters. When on trips together or at home, he was always encouraging his daughters’ engagement with sports and outdoor activities. John could relate to and enjoyed conversation and friendships with people from an extraordinary range of backgrounds, at the same time maintaining a philosophic – and reporter’s – stance towards human nature and our foibles. He also had a very soft spot for animals. 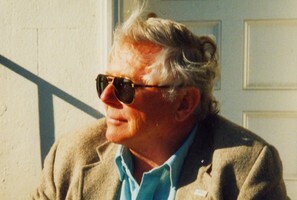 Besides his wife Ann, of Williamstown, he is survived by three daughters, Jan Hitchcock and husband Ron Poitras, of Surry Maine; Sally Kimball and husband Howard, of Hinesburg Vermont; and Amy Hitchcock and husband Glen Hawkins, of Jamaica Plain Massachusetts; three grandchildren, Colin and Lindsay Kimball, and Helen May Hawkins; and numerous nieces and nephews. He was predeceased by his parents; his brothers M. James and Franklyn; and his sisters, Elizabeth McLaughlin and Anita O’Brien. A gathering of family and friends will be held at the family home in Williamstown at a later date, where we will share, in his own tradition, our stories about John. To send flowers in memory of John C. Hitchcock, please visit our Heartfelt Sympathies Store. Provide comfort for the family of John C. Hitchcock by sending flowers. I sit here, on a cold, dark Sunday afternoon and the thing I remember most about my Uncle John was his laugh. 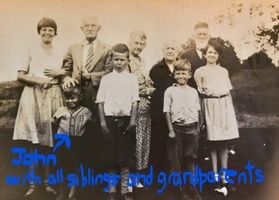 We were a large herd of children, his girls and my enormous family, and Rosemary and Bills kids....passing through Williamstown during the summer with various destinations on our plates. All of us kids would be in the back yard of the big house in Williamstown, the adults inside,, sharing stories and laughing....so much laughing. Wonderful times, never to be forgotten. My Uncle John introduced me to tennis which resulted in my life long love of the sport...I remember stopping in Williamstown on my way home from a music camp in upstate NY, and he gave me a tennis lesson in the dining room....I will never forget that the almost wacked me in the head by demonstrating how to serve....I ducked just in time. He had this amazing spirit and love of life, his family and his dear Ann.....never to be forgotten. What a very special man....I hope he, my Dad and my Uncle Bill are now together, skiing somewhere in the Berkshires. May the family of John C. Hitchcock please accept my sincere condolences hoping you find comfort in God's words at Acts 24 : 15 and Psalm 37 : 29.